Our law firm is based on the concept of aligned interests. Where our success is directly related to the value and results that we achieve for our clients. Where we are rewarded for being efficient and effective. Where we offer a variety of fee arrangements that best align with our clients’ interests. Where we engage in the relentless pursuit of our clients’ goals – whether in litigation, in mediation, or at trial. 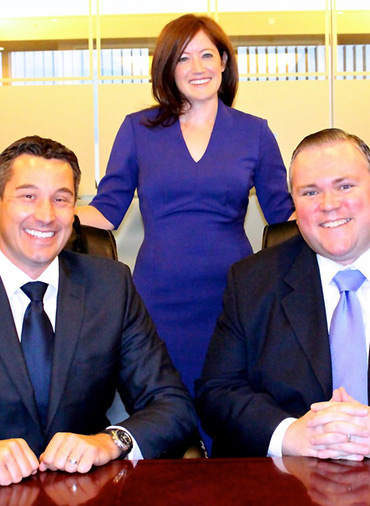 Ford & Diulio is not your traditional law firm. For starters, we have extensive experience working on high-value cases from all perspectives: plaintiffs, defendants, and even as part of the judiciary – Brendan and Kris both served as federal law clerks before entering private practice. Clients benefit from this experience. Picture Our attorneys have litigated in all areas of the law and specialize in three primary areas: Business Litigation, Personal Injury, and Labor & Employment. We also believe that we can better serve our clients by offering fee arrangements that reflect our aligned interests. To that end, we offer a vast array of alternative fee arrangements, including pure contingency, hybrid, phased billing, and others. Of course, some clients prefer doing straight hourly work (which we have done and can do). Our preference, however, is to create a fee structure where we are rewarded for achieving our clients’ goals and delivering great results in the most efficient manner possible. We know that referrals are the lifeblood of a law firm. We welcome them, we appreciate them, and we pay for them (consistent with State Bar rules, of course). We promise that all of your referrals will receive A+ service and care, and that we will work tirelessly to get the best result possible. Our attorneys have over a decade of experience representing clients in all types of litigation. Don’t delay – contact us today! Our law firm is based on the concept of aligned interests. Where our success is directly related to the value and results that we achieve for our clients.